Robert Holden is professor of voice and opera, coordinator of the voice area, and co-director of the UCA Opera Theater. Dr. Holden has been a member of the UCA music faculty since 1996. He has sung opera, oratorio, and recital throughout the United States, Europe, and most recently, China. Dr. Holden is a visiting guest professor at East China Normal University in Shanghai, China. He has been a member of the artist faculty at Park Cities Presbyterian Church Arts Academy since 2000. 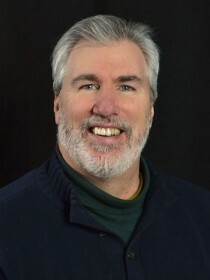 As a performer, he has sung leading roles with Central City Opera, Merrimack opera, Pennsylvania Opera theater, Utah Festival Opera, Wildwood opera, and others. His concert work has been with prestigious orchestras including Philadelphia Orchestra, Denver Symphony, Arkansas Symphony as well as giving a solo aria recital at the Salzburg Festival in Austria. Dr. Holden recently sang the title role in Puccini’s opera Gianni Schicchi in Shanghai, China. As a teacher, Dr. Holden has given master-classes around the country and in China. His classes have centered on vocal technique, song and aria interpretation, and audition techniques.